Display and serve wine and liquor in style with this Bottega del Vino Calice decanter. Mouth-blown and hand finished, this decanter is beautifully crafted. 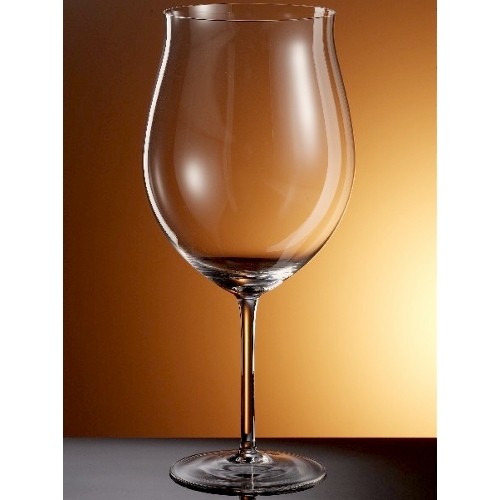 The crystal is dishwasher safe, lead-free and offers the finest presentation available for your wine. Calice means chalice in Italian, so in using this ceremonial decanter, you are litterally using the “Chalice of the Bottega del Vino.” It will decant a full magnum and its beveled rim prevents dripping. A well designed center of gravity makes pouring from the decanter surprisingly easy. This decanter is the perfect addition to any home bar.